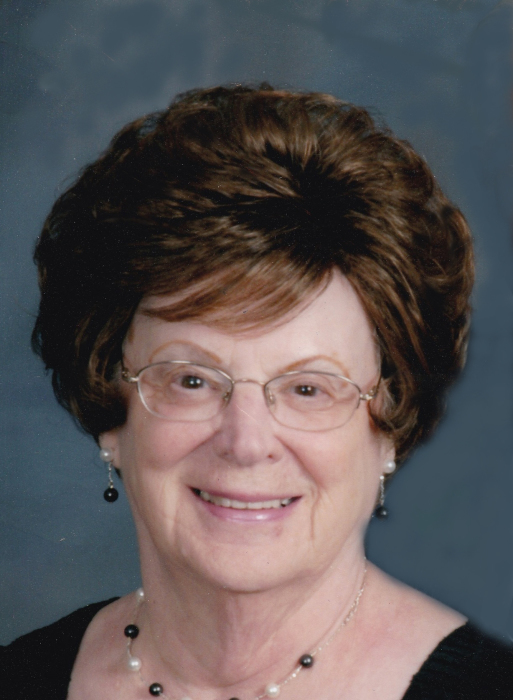 Obituary for Joyce Firth | Esterdahl Mortuary and Crematory, Ltd.
Joyce Elaine Firth, 87, of Colona, Illinois, passed away on March 25, 2019 after a long battle with Alzheimer’s and Dementia at Reflections Memory Care in Washington, Illinois. A funeral service will be 10:00 a.m. on Tuesday, April 2, 2019 at Colona United Methodist Church, 1709 Cleveland Road, Colona, IL. Visitation will be from 4-7 p.m. on Monday, April 1st, 2019 at Esterdahl Mortuary & Crematory, Ltd., Moline, IL. Burial will be at Greenview Memorial Gardens. Memorials may be made to either Colona United Methodist Church or to the Alzheimer’s Association. Joyce was born on January 15, 1932 in Rock Island the daughter of Frank and Helen Lang DeVrieze. She married Robert “Bud” L. Firth on January 6, 1951 in Rock Island and he preceded her in death on March 25, 2014. Joyce’s family will cherish the memory of her beautiful holiday decorating and the very special family traditions that she created. Joyce was a fantastic cook and no holiday dinner was complete without her homemade macaroni and cheese and her cherry pies. Every Thanksgiving, she gave every family member a personalized ornament and at Christmas she held “the Firth Family Sock Night” where she filled a stocking for each child, grandchild and great grandchild. As the family grew, a separate night had to be held just to open all the stockings. She would also fix a delicious meal and have games for all the children to play at Sock Night. Brothers Robert DeVrieze of Milan, IL and Ronnie DeVrieze of Connecticut. She was preceded in death by her parents, husband, Son; Jeffery David Firth, great grandson; Brayden Robert, sisters, Shirley Jackson and Beverly Etter, brothers; James DeVrieze, Howard DeVrieze, Edward DeVrieze and Frank DeVrieze.